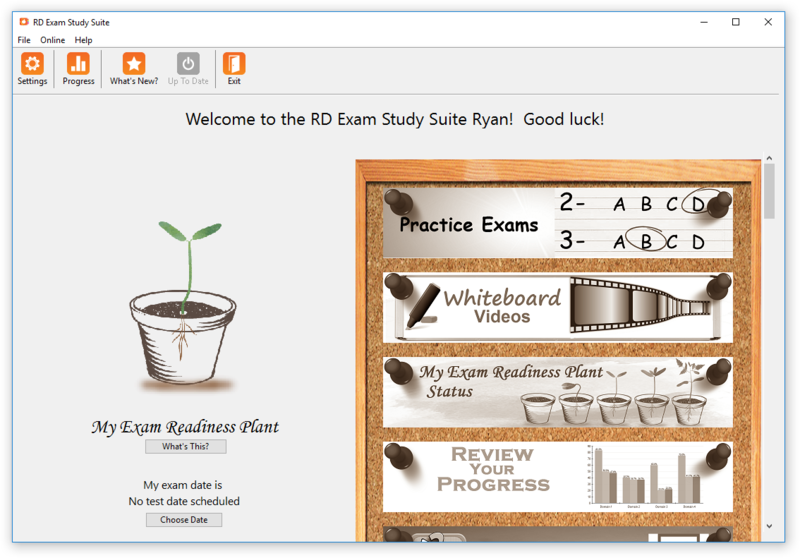 Introducing RD Exam Study Suite & DTR Exam Study Suite! Over the past 3 months, we’ve taken the original Practice Exam software and completely revised, updated, improved, and bulked it up! The RD Practice Exam program is now part of the RD Exam Study Suite, and the DTR Practice Exam program is now part of the DTR Exam Study Suite. This is a major update to the software with so many changes and improvements! I like to call this update a “student request” update, since many of the new and improved features were suggested by you, the students who’ve used the Practice Exam program. Throughout the past few years, I’ve received many feature suggestions from students on how to improve the current Practice Exam. These suggestions do not go unheard. They get written down and placed by my computer as potential software updates. I am adding this mention at the top of the article, so it does not get lost below all of the features. Q: I have the RD Practice Exam version 6 or the DTR Practice Exam version 4. Do I need to purchase the new Study Suite program? A: Maybe. Up until March 31, 2017, you can upgrade your version 6 RD software to the new version 7 or your version 4 DTR to the new version 5 for free. 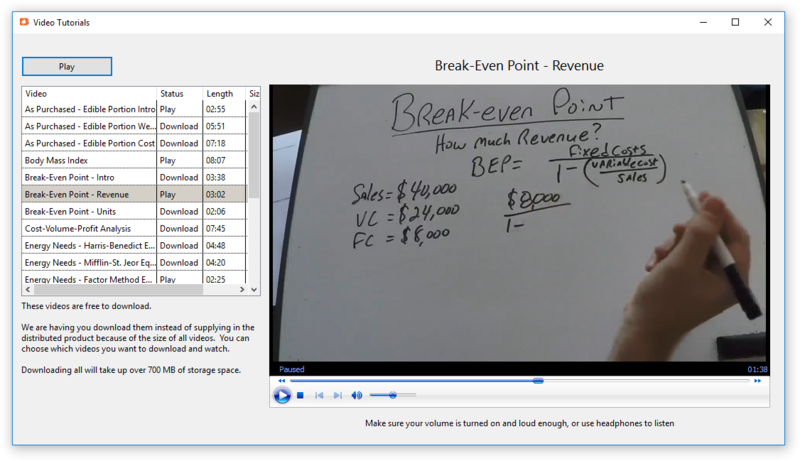 After this date, those who want to upgrade to the Study Suite version will need to purchase a new license. The offer to upgrade for free is for 6 months from the date of the initial launch of Study Suite which was in October 2016. Now let’s dig into the updates! 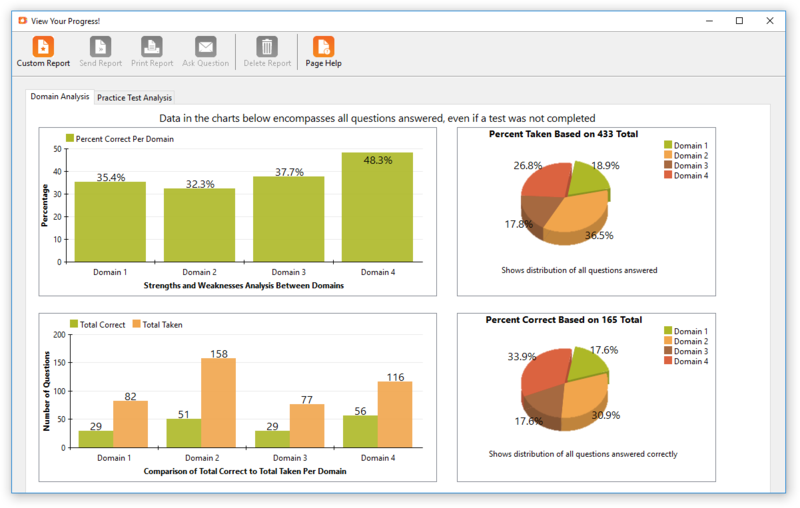 View Your Progress: Similar feature from the original Practice Exam software, except a much improved Strengths and Weaknesses chart plus new charts to show more data. The Practice Test Analysis tab (formerly Progress Tracker) also has some new and improved features! New Exam Readiness Plant: This is a feature I have been imagining for the software for several years. 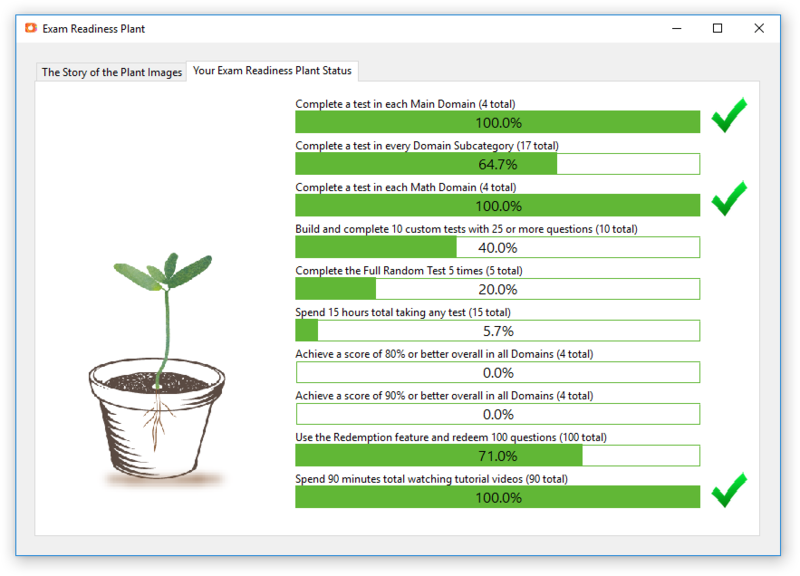 The Exam Readiness Plant is used as a metaphor to illustrate the student’s progress through the software. The Study Suite program will store various bits of data as the student progresses through. As these tasks are met, the plant will grow. The idea is that the Exam Readiness Plant offers the suggestion to the student when they are ready to sit for their registration exam. Of course, only the student knows when he or she is ready to take the actual exam, so the plant should not be used as a definitive determining factor, only as a metaphorical suggestion. The best part is that even for those students upgrading from the Practice Exam software, many of the bits of data will transfer over, so you don’t have to start from square one when you’ve already put in much time and effort into the software! Ok, back to the features! Cessation of seeing repeated questions: Student Suggestion! Full and Short Random Tests now ask only questions that have not been seen in these tests. A student suggestion I absolutely agree with. 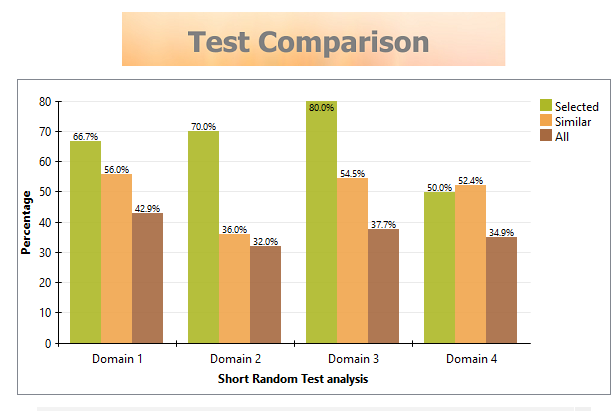 Previous to the new Study Suite, when a student would take the Full or Short Random test, the software would pull from the question database a random selection of questions in the amount from each domain they would expect to see in the actual exam. That’s a mouthful, so allow me to explain it this way. Now in the new Study Suite software, once a question has been asked in the Full or Short Random Test, it will be eliminated from the question pool, and the next time she takes the test, she will see a new set of questions from each domain! Unfinished tests: Student Suggestion! Students can now finish a test at a later time! Who really has the time to complete all practice tests in the time permitted? Some of these tests can be quite lengthy, especially when the student chooses to answer all of the questions in a test set. In the new Unfinished Tests section of the Choose Test Screen, students will now find all tests they have not completed! As a student is working through a practice test, they may either click the Quit and Save button to save their current progress in the test, or simply close out the test window. Either way, the program will save your place of where you left off! New and improved charts: The Domain Analysis tab now shows the following charts, which are now animated! Improved review of tests: Student Suggestion! Students can now review all questions answered in a test or just the ones answered incorrectly! Previously, the software only showed the student questions he or she answered incorrectly. As we’ve heard from some students over the years, sometimes they may select an answer as a guess, and it happened to be correct, but they would still like to review those questions. We agree, and now you have it! Have more questions or a suggestion?